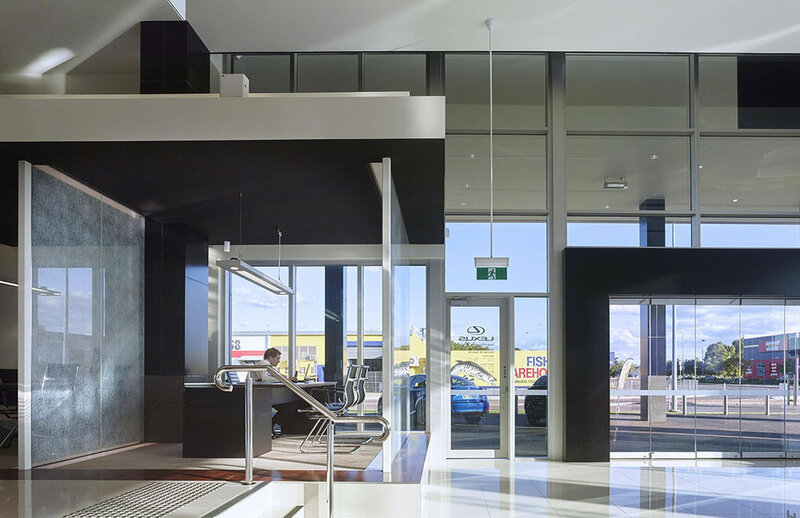 The design of the new Mike Carney Toyota and Lexus showroom represents a fresh and innovative approach to customer service. 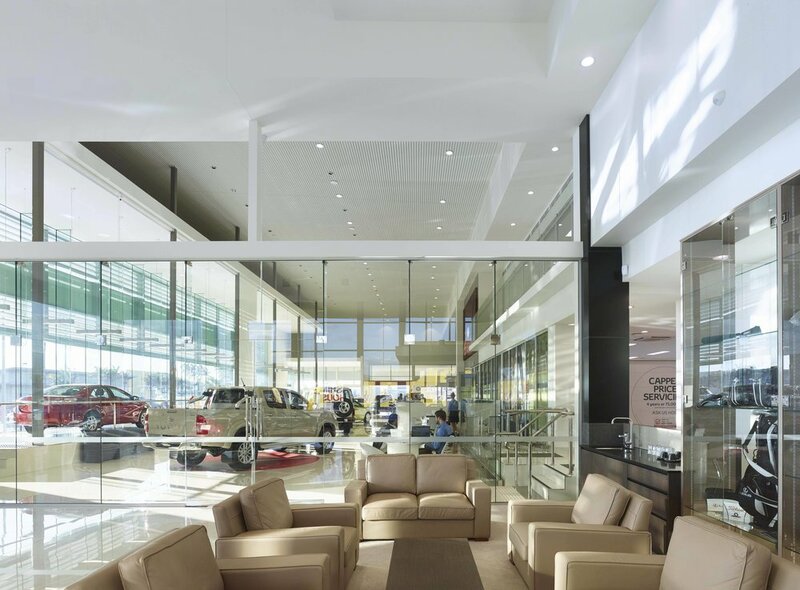 Integrating sales and service through customer lounges and vehicle delivery, the centre creates an inviting and relaxed atmosphere while that representing the qualities of the individual Toyota and Lexus brands. During the showroom’s long history in Townsville, the surrounding area has changed from open fields to a busy commercial district, with numerous brands competing for attention. Responding to this, each showroom has been designed as a high-end shop front, with large expanses of glazing and feature display windows to maximise views from the street front. Working extensively with the Toyota and Lexus corporate group, as well as the onsite team and builder, we delivered a design that was in line with each distinct brand identity whilst embracing an overall consistency. Environmentally, our challenge was to balance the desire for maximum transparency and vision into the showrooms with the facade’s orientation to the western afternoon sun. 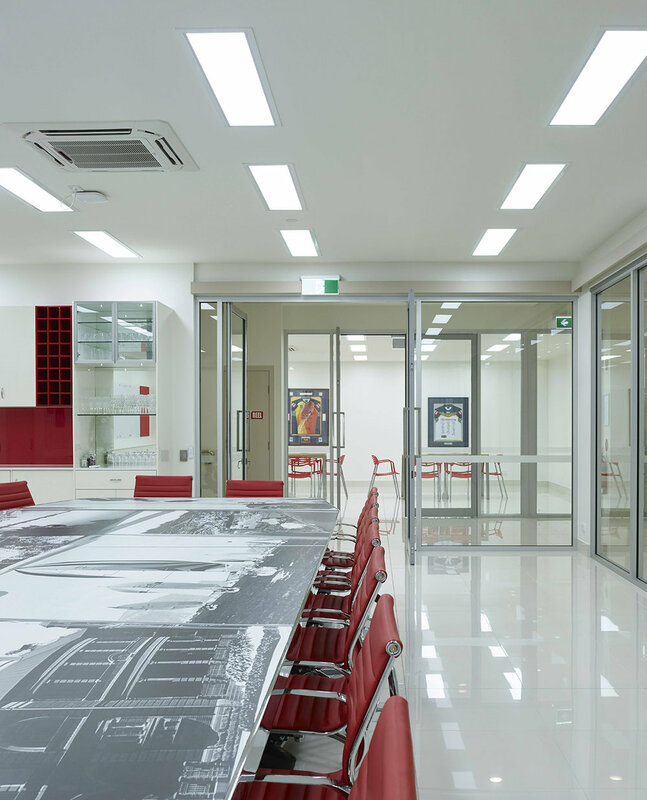 Using a mixture of large overhangs, screening, and glazing types we successfully reduced the impact of the afternoon sun while still maximising natural light inside.